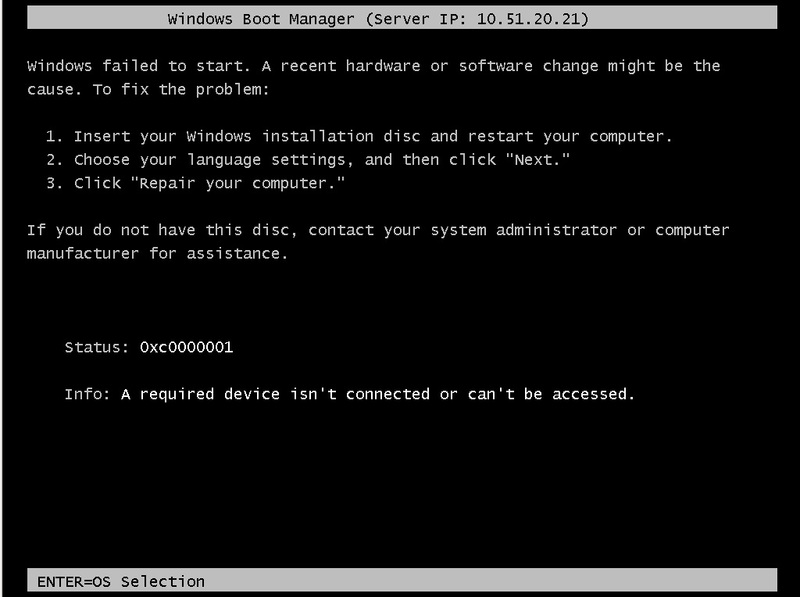 You might have seen screens like this when PXE booting. Sometimes SCCM creates an Unknown computer object which can be deleted as described in Lars Lohmann Blem’sÂ blog here. 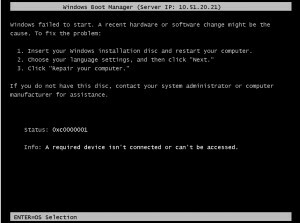 At other times the computer object is not created in SCCM and you will not be able to PXE boot it Again, Lars Lohmann Blem also describes the issue on his blog here. I guess scenario 1 is pretty obvious, delete the Unknown computer object and your computer will PXE boot again. Scenario 2 is a bit more complicated. I created a small SQL query to list the computers that are unknown but is denied PXE due toÂ the “Last PXE Advertisement” flag. You will probably find your computers BIOS GUID and MAC address in the returned data. If you are up for it, delete the row and you should be able to PXE boot the computer Again. This query will list the row you want to delete, it is always a good idea to verify that it is the correct row before actually deleting it. The query should return the row you want to delete. This entry was posted in Operating System Deployment, SCCM 2012. Bookmark the permalink.